Tony Hsieh is one of the leading businessmen in the world today. 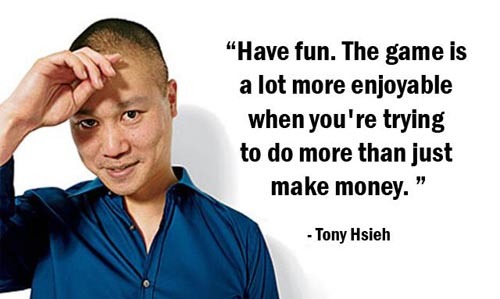 Here are some of my favorite business quotes from Zappos CEO, entrepreneur, and venture capitalist Tony Hsieh. 1) "I had decided to stop chasing the money and start chasing the passion." 2) "We must all learn not only to not fear change, but to embrace it enthusiastically and, perhaps even more important, encourage and drive it." 3) "Act weak when strong, act strong when weak. Know when to bluff." 4) "For individuals, character is destiny. For organizations, culture is destiny." 5) "Envision, create, and believe in your own universe, and the universe will form around you." 6) "There's a difference between knowing the path and walking the path." 7) "Without conscious and deliberate effort, inertia always wins." 8) "No matter what your past has been, you have a spotless future." Thanks Tony Hsieh for the motivational startup quotes! I hope you enjoyed these 8 great Tony Hsieh motivational quotes! 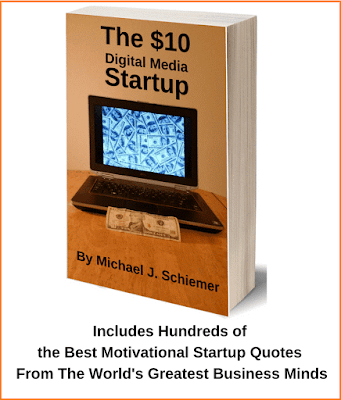 Interested in more great entrepreneur motivational quotes? More Bootstrap Business Blog Below!